The Materials Geometry group studies the structure and properties of soft materials. We apply tools from geometry to extract the universal features of material behavior. Some highlights of our current interests are found below, and more details and projects can be found on our News page. 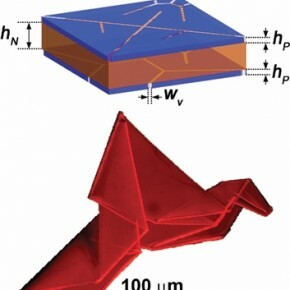 Self-folding materials are spatially-designed composite structures that will fold into a desired three-dimensional configuration from an initially flat state. Because of the folding dynamics, this is sometimes referred to as 4D printing, to distinguish it from traditional 3D printing, which creates structures by depositing material directly into the final configuration. 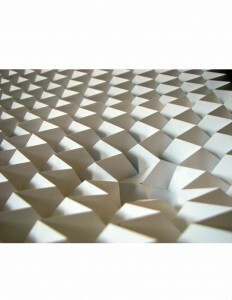 In contrast, 4D printing can be patterned flat quickly and, potentially, in bulk. 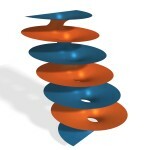 The resulting 3D structures form spontaneously. 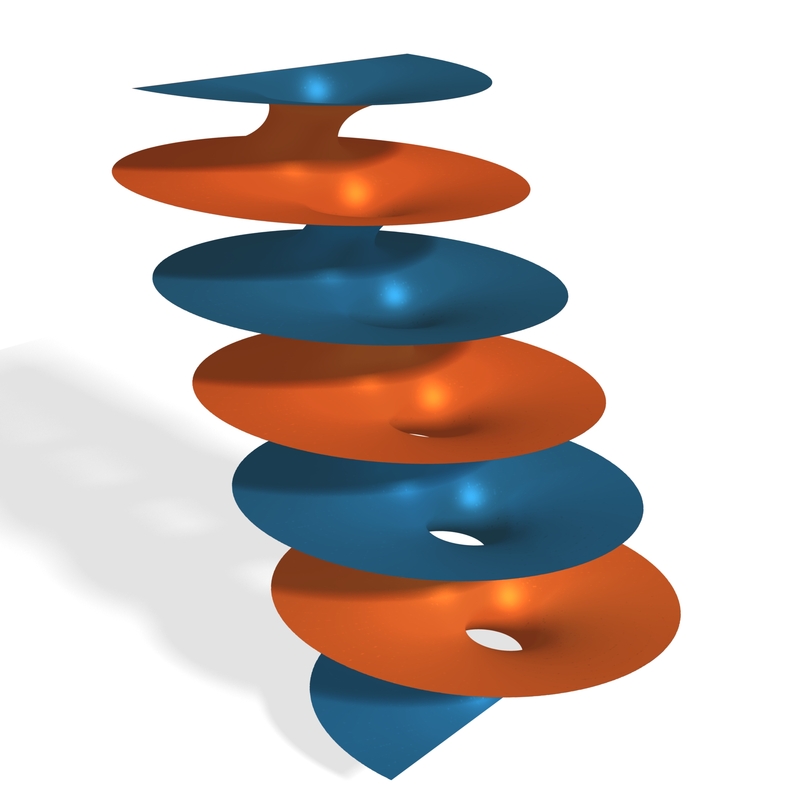 Our recent work focuses on developing design rules for both discrete, origami-like selffolding structures (pictured here) and in smoothly patterned films that can fold and buckle into curved surfaces. Manipulating the micro-structure of a material can endow it with effective properties phenomenally different than one without structure. Our research aims to develop the principles needed to design, de novo, materials with exotic mechanical properties by manipulating their geometry. Liquid crystals are materials in which the molecules have an organization in between the absolute rigidity of a crystal and the constant rearrangements in a fluid. 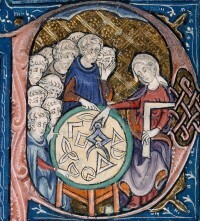 They are characterized by “defects” in their order, which can often be partially understood in terms of geometric arguments.